The holidays are soon approaching. Before we know it, Halloween will be here, followed by Thanksgiving and Christmas soon after! The holiday season always seems to sneak up on me, and before I can think, cards are needing to be sent out to family members and friends. Well no more! We want to give one fortunate reader a chance to get a head start on their holiday greeting cards, so we are doing a giveaway for a $100 Gift Certificate to Shutterfly.com! 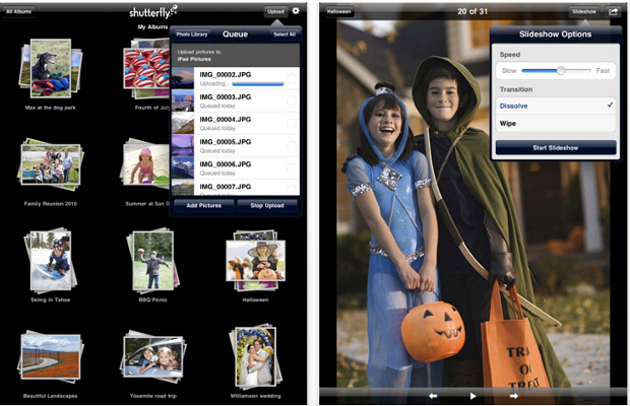 Shutterfly is your best stop for customized pictures, albums, birth announcements and greeting cards. I love it! The giveaway will start today, September 17th, and will end 12:01 am on Saturday, September 22nd. You must be 18 years of age or older. There are many entry options, so don’t forget to take advantage of all of them! This giveaway is in no way affiliated with Shutterfly.com, Facebook or Twitter. I love the costumes on Halloween. I love thanksgiving. The food is always awesome! I love all the fall and winter holidays…but for me…christmas cant be beat!!! Christmas, of course! I love getting stuff for people that I think they’ll like. Seeing my little girl’s eyes light up when she opens a present is priceless. That would be Halloween because I dress up as a clown and amuse the kids at the food shelf where I volunteer. What fun! I love Halloween because I can dress however I want! I like Christmas holidays and getting together with family. But, I really like Christmas with snow! I like Halloween because it’s also my anniversary. Halloween because it’s so fun! Christmas because it brings a renewed sense of hope. thanksgiving, all the great food! My favourite fall/winter holiday is Thanksgiving. You can get together with family and friends, enjoy wonderful food and conversation, and the frenzy of shopping, wrapping and gift giving associated with Christmas, is not there. We love Christmas and Thanksgiving. Thanksgiving…the air is crisp and fresh, the family is together, and the excitement of Christmas begins. Christmas- I love the holiday spirit, plus, we gather most of the family together. I like thanksgiving because of all the yummy food and great times with family and friends. Christmas! I like what Christmas is about and the cold weather. I wish for snow every year. Christmas because I love getting gifts for everyone & people seem to just be happier. Also the food! I love Thanksgiving because I am very thankful for my family. I love having everyone here and cooking for all my family. my favorite fall holiday is thanksgiving, i love to eat turkey!